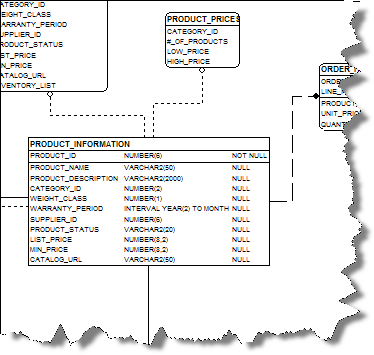 No matter what your database, ModelRight provides all of the features that you expect ...and more. 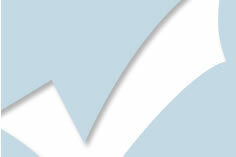 The following list is just a sampling of the unique features that ModelRight provides. 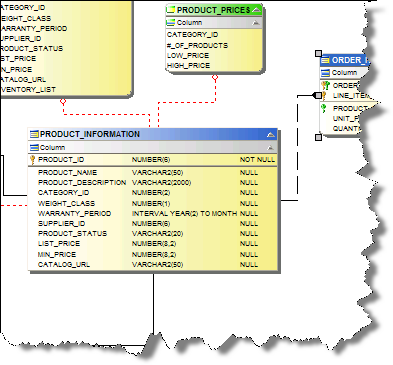 It is the answer when you need a database modeling tool that surpasses the "least common denominator" approach taken by others. The Find feature provides a powerful means of searching for any type of object with any property value. The following screenshot shows the settings to find all Columns that have a Name starting with the letter "S". 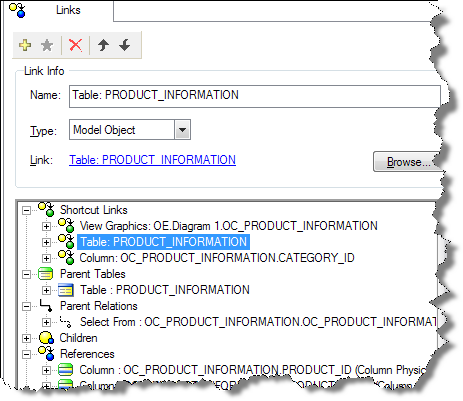 ModelRight provides a Search control in the main toolbar for quick access to common Finds. "Reverse Engineering" refers to the process of collecting information about your existing database and creating a new Model based on it. 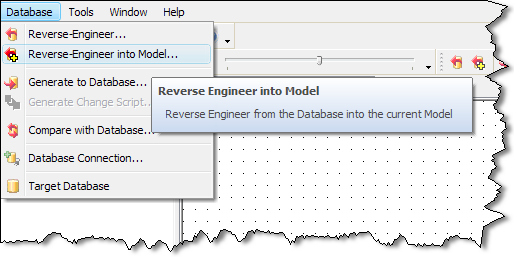 "Reverse Engineer into Model" allows you to add objects from the database to an existing model. You can also do this with the Database Compare feature, however, if you know what objects you want to add, this feature makes it easier and quicker. Whenever you make a change, ModelRight uses an internal "transaction" to contain the full impact of your change. When the transaction completes, it evaluates all of these changes and inserts an entry in this list so that you can see and report on the full impact of your change. Themes allow you to completely change the look of your Diagram without affecting the contents of the Model. Maybe you would like to use one set of colors to print your Diagram and another to view it. Themes let you do that in a single click. Any of the visual characteristics of the Diagram can be changed by the Theme function. You can define your own web-like hyperlinks on any model object. Keyboard shortcuts can then be used to quickly navigate to another model object, a file or a website. Links that are defined on Text and Image graphics work just like a web browser hyperlink - you can navigate to the link's target just by clicking on the Text or Image Graphic. ModelRight also provides hyperlinks on Property Pages to let you navigate to and create related objects.